The Royal Melbourne Gold Club was recently the venue of a high profile sporting event: the Asia-Pacific Amateur Championship (APAC). Rolex was the sponsor of the event that was staged for the first time in the event’s six-year history in Australia. In order to participate, 120 players from the 38 Asia-Pacific Golf Confederation member countries had to qualify through the World Amateur Golf Ranking presented by Rolex. The winner (Antonio Murdaca of Australia) qualified to play in the 2015 Masters Tournament at Augusta (US), while both the winner and the runners-up have gained a place in the International Final Qualifying for The Open Championship, providing the opportunity to become eligible for next year’s 144th Open at St Andrews, Scotland. Rolex sponsored the Asia-Pacific Amateur Championship through its strong alliance with The R&A, the Masters Tournament and the Asia Pacific Golf Confederation. The APAC, which takes place annually at different locations in Asia, was created in February 2009 as a joint initiative to grow the game of golf in this region. The championship brings together the best amateur golfers from the Asia Pacific Golf Confederation countries, including Australia, China, India, Japan, Korea and Thailand, giving these players the opportunity to become tomorrow’s champions. For over 30 years, Rolex has been the partner and official timekeeper of The Open Championship, where the world’s greatest players compete for the sport’s oldest title. This prestigious tournament is organised by The R&A, golf’s governing body responsible for monitoring the official rules of golf. The Rules, set out by the Royal and Ancient Golf Club of St Andrews, have preserved the integrity of the sport for over 250 years. 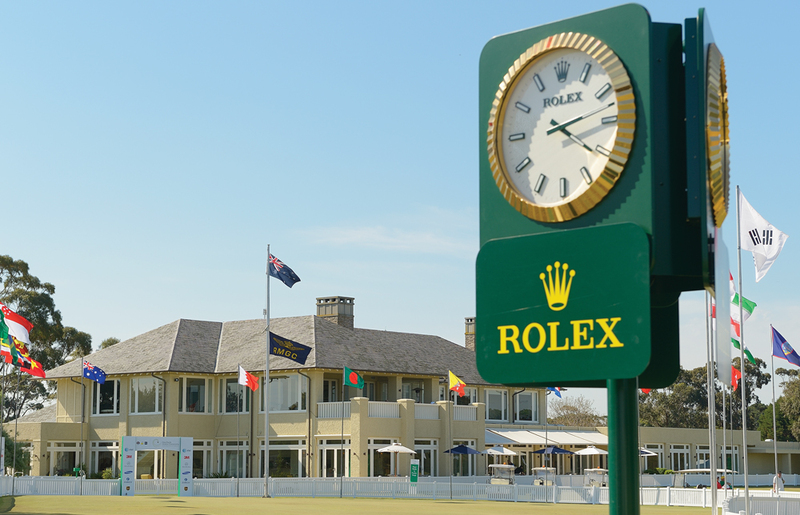 Both The R&A and The Rules have long-standing partnerships with Rolex. Rolex is also a major sponsor of the USGA, which is responsible for organising the renowned U.S. Open Championship. Also in the United States, Rolex has supported the Masters, one of golf’s emblematic events played every year at Augusta National Golf Club in Georgia. Alongside the majors are the Rolex-sponsored team competitions. The Ryder Cup pits the United States against Europe, while The Presidents Cup is played between the United States and a team comprised of the top-ranked players outside Europe. Today, Rolex backs many of the sport’s best players. Besides the Big Three, the watch manufacture counts among its Testimonees American golf legend Tom Watson, as well as Fred Couples and Bernhard Langer; multiple-major winners Tiger Woods, Phil Mickelson, Retief Goosen and Martin Kaymer; and top contenders Luke Donald, Rickie Fowler, MatteoManassero, Adam Scott and Jordan Spieth.